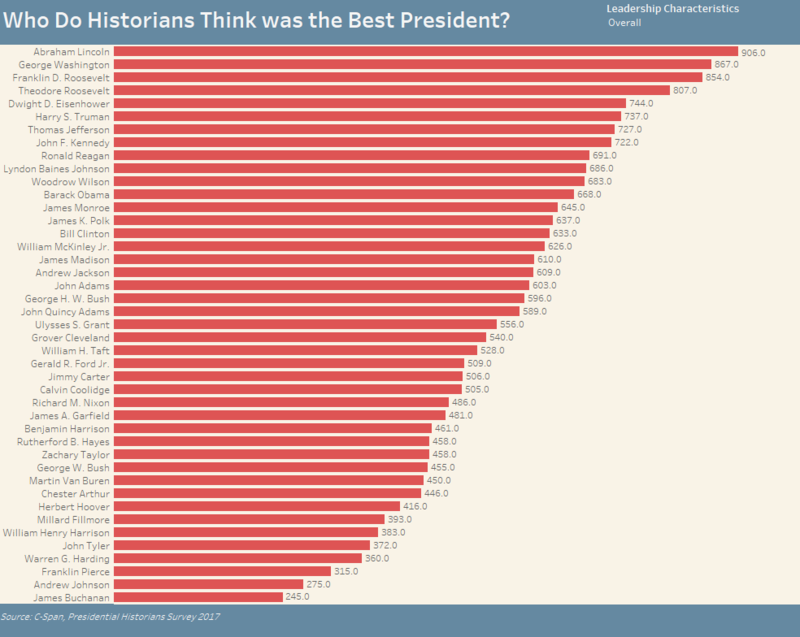 Who Do Historians Think was the Best President? 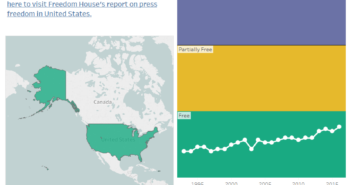 You are at:Home»Special Projects»Who Do Historians Think was the Best President? This week, C-Span published a survey that asked historians to grade the performance of past presidents. 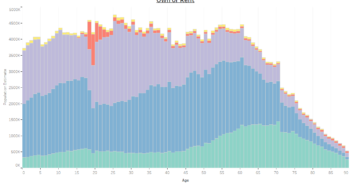 After reviewing the information I decided I wanted to make a data visualization out of it. 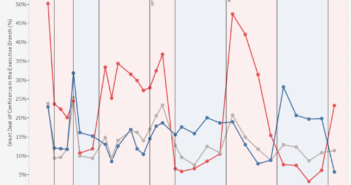 I copied and pasted the results into google sheets and then connected the sheet to tableau where I made the visualization.